A chic two colour 9ct rose gold and palladium ring with a stylish matt and polished finish. Perfect for the modern gentleman. Palladium & 9ct Rose Gold 6mm Ring is rated 5.0 out of 5 by 1. 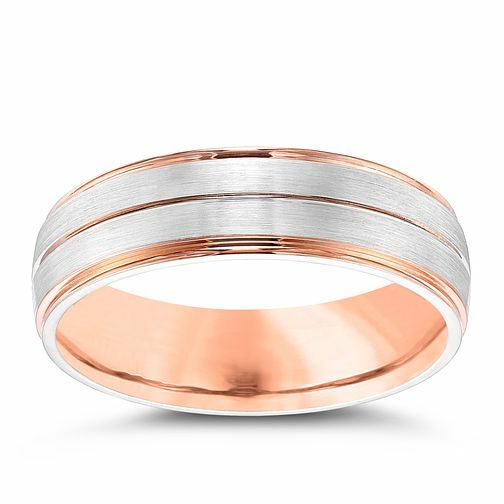 Rated 5 out of 5 by Anonymous from Wedding Band This ring is just the right amount of rose gold added in to give it a classy look. Very pleased with the style. It came the next day after ordering online which is great if you are in a rush.